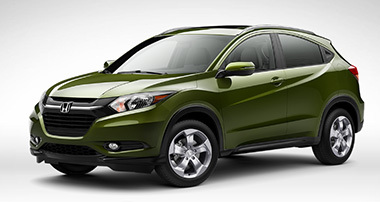 Learn more today about Honda’s newest model the 2016 Honda HR-V! How about a NEW 2014 Honda Civic Hybrid? *Plus tax and dmv. MSRP: $25,425. Sale Price: $21,999. 44/47 MPG. Model Code: FB4F2EEW. We will meet or beat any local competitor’s price. If you find the same tires for less within 30 days of purchase we will beat it! Must be exact size, make and model tire as sold by us here at Ralph Honda. Internet & Club tires excluded. Call 225-5542 for tire prices! Prices vary by model. Plus taxes and fees where applicable. Please present coupon during write up. Cannot be combined with any other discounts. Ralph Honda hit record sales for New vehicles in April with selling 114 vehicles! In the past two months, Ralph Honda has set a record for selling Pre-Owned vehicles with selling 99 vehicles. Great job to the Ralph Honda Sales Team! Now is a great time to trade-in your current vehicle or we will buy your car with no trade-in necessary! Stop by our showroom today and we’ll value your trade. 1. Heat oven to 350°F. On pizza board or in ungreased 12-inch pizza pan, roll out sugar cookie dough with floured rolling pin to a perfect round shape. 2. Bake 15 to 18 minutes or until crust is golden brown and set. Cool about 30 minutes. 3. While crust is cooling, in medium bowl, beat cream cheese, sugar and vanilla with electric mixer on high speed 3 to 5 minutes or until fluffy and well blended. Place preserves in small microwavable cup or bowl; microwave on High 15 to 30 seconds or until melted and smooth. 4. Spread cream cheese mixture over cooled crust to within 1/2 inch of edge. Drop spoonful’s of melted preserves over cream cheese. Using butter knife, swirl preserves through cream cheese into a decorative design. Garnish with raspberries. Refrigerate at least 1 hour before serving.